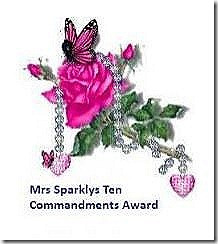 Mrs. Sparkly — Thanks Jo! First, thank-you SO MUCH Jo of “restlessjo” for nominating me!! I have never been nominated for a blog award and I was SO EXCITED when I saw that you had nominated ME! I am beaming!! Thank-you! What do I have to do? It’s simple: answer 10 questions, honestly, and then nominate other fellow bloggers! 3. Whom do you aspire to be like? That I may never feel content. 5. What are the best and worst things about blogging? 6. What was the last website you looked at? The amount in my bank account — I would like a few more zero’s added to the end…so I could continue to travel and perhaps bring my loved ones along for the ride as well. 8. Slankets, yes or no? 9. What are you wearing now? Lululemon pants (my favourites) and a guy’s h&m hoodie! Go check-out these awesome blogs! Like Jo and I, they are restless souls, wandering the earth and sharing their discoveries with us in this amazing space we call the Blogosphere!